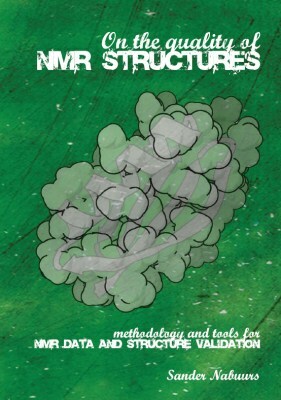 This page is dedicated to the thesis 'On the quality of NMR structures' written by Sander Nabuurs. A PDF version of the book is available for download here. More info on the author can be found on his homepage. The thesis was be defended on February 9 2006 in the main auditorium of the Radboud University Nijmegen. You can find pictures of the ceremony here. On May 23 2006 'On the quality of NMR structures' was awarded with the second prize at the DSM Awards for Chemistry and Technology 2006.